Hey NYC peeps! 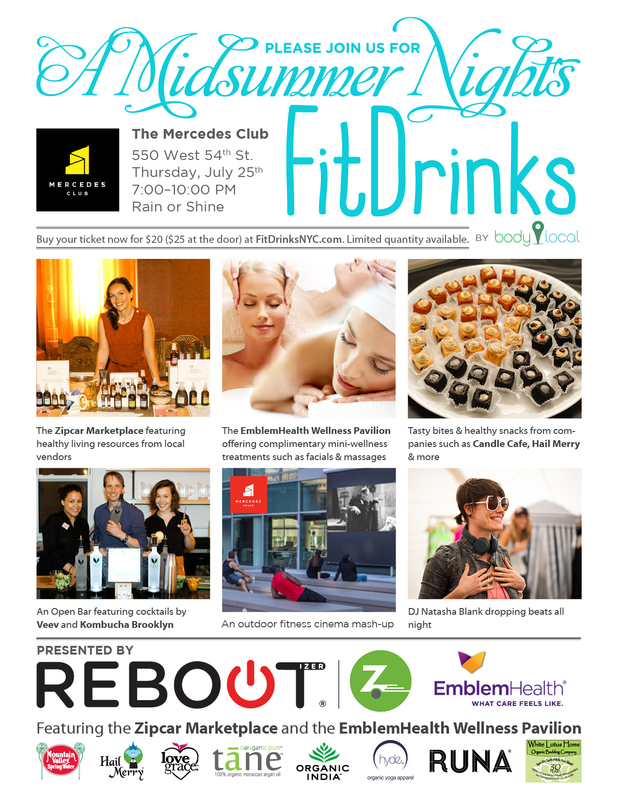 Hang out with local fitness and wellness peeps while enjoying vegan food and drinks this Thursday, July 25th at Midsummer Night’s Fit Drinks. This event hosted by Body Local will be held from 7pm to 10pm at The Mercedes Club. Tickets are only $10 with promo code CHUI and can be purchased here.